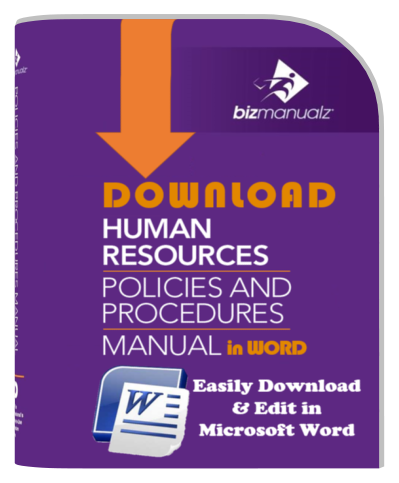 Easily develop your Human Resources Policies and Procedures Manual for management and an employee handbook with pre-written and fully editable MS-Word HR content encompassing the critical areas of managing employees including payroll, benefits, conduct, job performance, training, and legal compliance requirements. Download yours today. 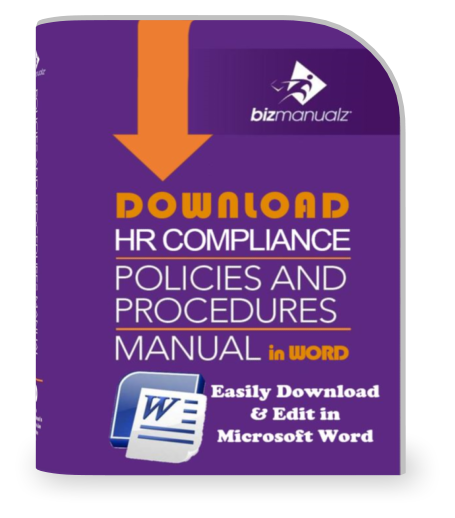 The HR Compliance Policies and Procedures Manual includes procedures that will make complying with US labor laws and employment-related issues considerably easier. The HR Payroll Policies and Procedures Manual describes the methods and systems for compensating employees. The creation of a proper compensation and benefits system is the foundation for rewarding and incentivizing employee to achieve the company’s goals. 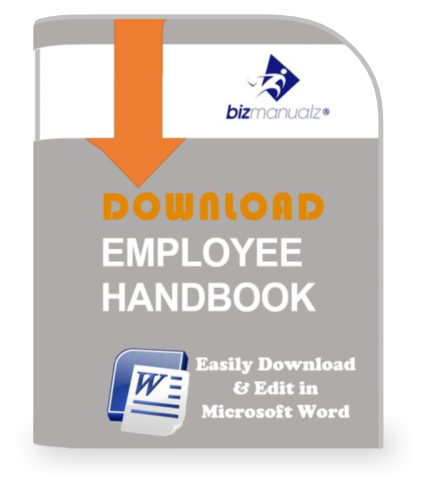 The Employee Handbook includes all of your important employee policies divided into four easy sections with no hassles formatting or researching basic employee policy. Download Only. The Job Descriptions Guide covers communication, format, content and more. It explains how to create well-written job descriptions of your own, as well as including 87 prewritten example job descriptions.